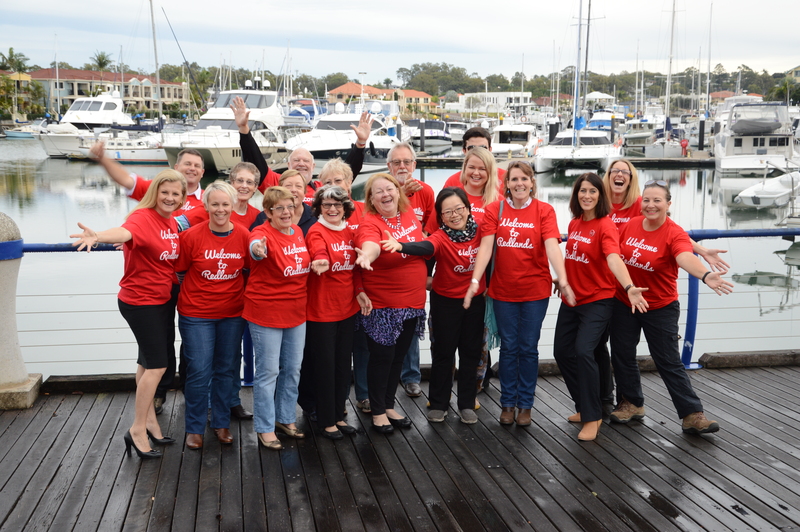 About 25 tourism operators and community members today attended the launch of the inaugural Welcome to Redlands program at Fiction Bar, Raby Bay. Redland City Mayor Karen Williams said the program, part of the overarching Brisbane Welcomes the World Program, aims to build the Brisbane region’s reputation as one of the friendliest places in the world by making a world of difference to its visitors. “Welcome to Redlands is a new, free destination welcoming and wayfinding online training program,” Cr Williams said. “The Welcome to Redlands program has been developed based on local knowledge, stories and experiences generously shared by our tourism operators and community members at four workshops held on the mainland and on Russell Island earlier this year. “In addition to the online modules, a Quick Reference Guide that outlines visitor information and wayfinding knowledge to help all Redlanders be great destination hosts is available to download. “From villages, islands, rainforest, rural hinterland, farmland, beaches, bays, creeks and freshwater lakes as well as iconic flora and fauna, our City has much to offer. “Yet what really sets us apart is our people – our sense of community is unparalleled. We care about our friends, neighbours, colleagues and guests … and it shows. “Destinations that consistently extend a warm welcome to visitors reap social and economic benefits long after tourists have visited or events have been staged. “Being valued by our visitors as a welcoming destination will help provide our City with a strong point of competitive difference. 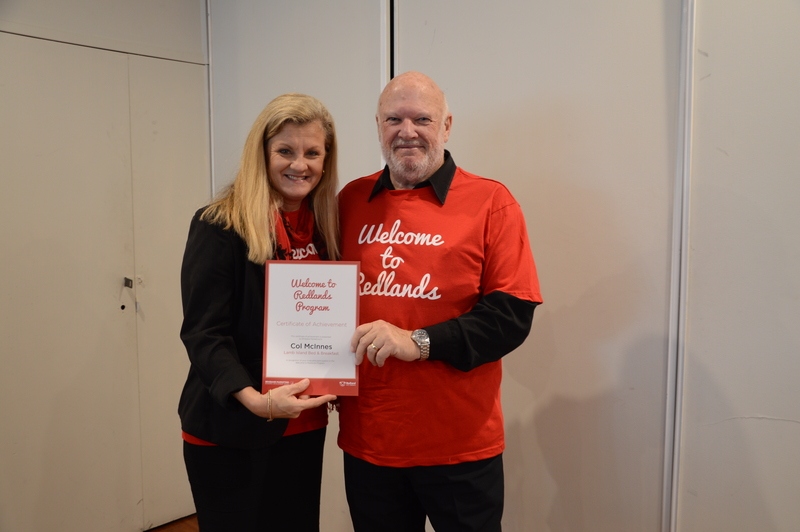 Cr Williams said anyone within the Redlands tourism industry and community who plays a role in welcoming and hosting visitors could participate in the Welcome to Redlands program. “Participants may include those working in hotels, venues, transport, events, attractions, retail, restaurants, cafes and bars or volunteers with a passion and drive to make a difference,” Cr Williams said. 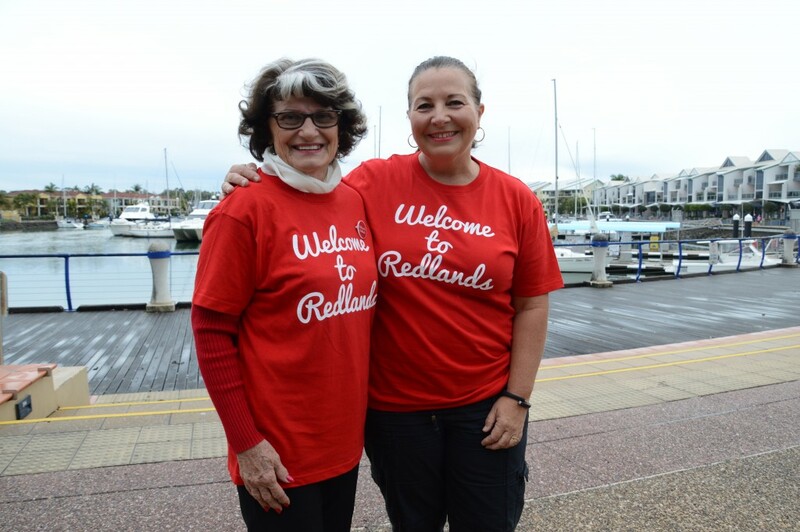 “I encourage interested community members to register now to complete the Welcome to Redlands online training modules and become ambassadors for this very special part of the world. Brisbane Marketing, in partnership with Redland City Council, is delivering the Welcome to Redlands program supported by funding through the Australian Government’s Tourism Demand-Driver Infrastructure program and administered by the Queensland Government’s Department of Tourism, Major Events, Small Business and the Commonwealth Games. Brisbane Marketing Chief Executive Officer John Aitken said he was delighted that a legacy of the G20 Brisbane Welcomes the World program was being embraced by Redland City Council. Cr Williams said a similar online training program was also developed last year for North Stradbroke Island. Register here to complete the Welcome to Redlands and Welcome to North Stradbroke Island online modules. Posted in Business, Community, Grants and sponsorship, Tourism and tagged .